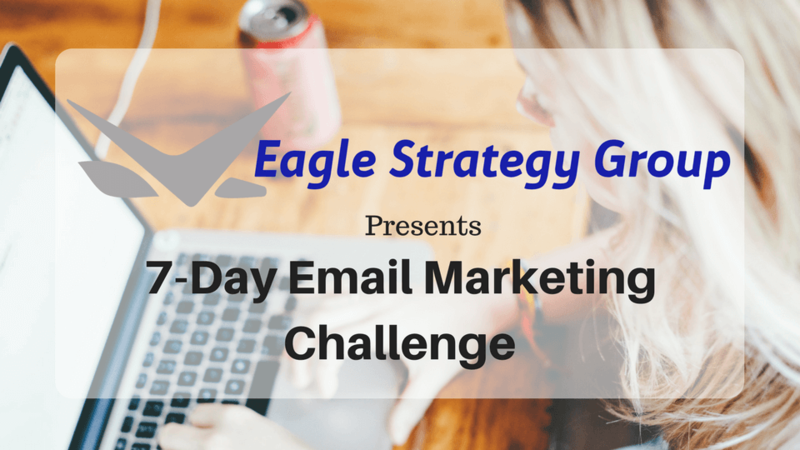 Sign up for the 7-Day Email Marketing Challenge Here! In the Email Marketing Challenge, over the next 7 days, we’ll go over a variety of tips and techniques that will help you improve your email marketing game. Some of the challenge will involve planning so you know what to email about. Additionally, we’ll talk about relationship building and how to make sure you give your readers what they need. Along the way, I also have some great copywriting advice for you. In fact, this will help you get better at crafting subject lines and emails that your readers will open and read. Sign up for the Email Marketing Challenge here. Scarcity Marketing Campaigns: Your Guide to Building Scarcity Social Media and Email Marketing Campaigns was originally published on Amazon in April of 2016. The second edition was recently released and it has climbed to #1 in Direct Marketing and #1 in Small Business Marketing on the Amazon Best Sellers lists. 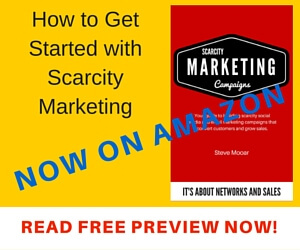 On May 12, 2016, and May 13, 2016, Scarcity Marketing Campaigns is available for free on Amazon. The regular price is $2.99. You can download it now here. If you would like to read a free preview, you can read a preview in your browser or download the pdf on the Scarcity Marketing Campaigns website. Scarcity Marketing is the use of tools and tactics to create demand for your product or service by implying to potential customers that there is short supply or that an offer is ending soon. A simple example is that you need to download the Scarcity Marketing Campaigns eBook by the end of day on Friday, May 13, 2016, to get it for free. Are you just getting started with social media and email marketing and need help with your strategy? Are you already producing social media and email marketing campaigns, but can’t get your followers to buy? Are you frustrated with marketing and feel your sales funnel is broken? Are you getting some conversion from your marketing efforts, but want to do better? In this book, I will teach you everything you need to know to create your own Scarcity Marketing Campaigns. Even if you have just started and only have a couple followers or have just started collecting email addresses, following the instructions in this book will help you engage with your followers, improve conversion, and increase sales. For more information click on the Amazon banner below or go to the Scarcity Marketing Campaigns website. Scarcity Marketing Campaigns (eBook) is your guide to building scarcity social media and email marketing campaigns that convert customers and grow sales. Are you just getting started with social media and email marketing and need help with your strategy? Are you already producing social media and email marketing campaigns, but can’t get your followers to buy? Are you frustrated with marketing and feel your sales funnel is broken? 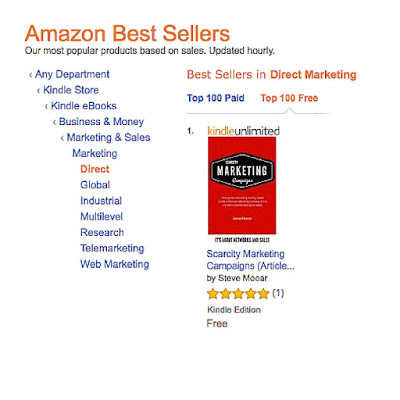 Are you getting some conversion from your marketing efforts, but want to do better? In this book, I will teach you everything you need to know to create your own Scarcity Marketing Campaigns. Even if you have just started and only have a couple followers or have just started collecting email addresses, following the instructions in this book will help you engage with your followers, improve conversion, and increase sales. I have seen readers increase engagement by 150% and sales by 40% in just their first 72-hour Scarcity Marketing Campaign. This is without spending a single dollar on expensive marketing tools and without spending additional time on marketing. At this point, I am sure most of us have heard of a growth hacker, growth hacking, sales hacking, or life hacking. Maybe, in the past when you see growth hacker or one of the other terms, you ignore. Maybe you don't know what a growth hacker or think it is a tech business thing? It is time to pay attention. You have a website, twitter account, facebook account, and other social media. You have profiles setup with travel organizations and local business organizations. These are all tech. It is time to start becoming a growth hacker for your small business or startup right now. To become a growth hacker, you need to take advantage of readily available tools, tips, and tricks that are quick and easy execute. Topics cover a broad range of areas including sales, marketing, and productivity. A great growth hack can be completed in 15 minutes or less and improve one of these areas. String a bunch of these growth hacks together and you can achieve exponential growth in your business. A business hack can be as simple as a productivity hack that changes your thinking so that any action you can get done in 2 minutes or less you do now. Or can be a more complicated process you can follow to increase twitter followers by 100% in 3 weeks. Scarcity Email Marketing Audiobook with extra content not available in the article - How to Create Scarcity Email Marketing Campaigns in 3 Easy Steps. Business Hacking Newsletter - a weekly newsletter with more great free tools to help you grow your business. Enter Email to Get My Free Stuff Now! Can high revenue concentration cause future problems for SiriusXM Satellite Radio provider? A lesson in Pareto (80-20 rule) and revenue concentration. Howard Stern - the "King of all Media"
Each of these giants has taken different paths, but all have seen meteoric growth to become the giants they are today. Walmart opened its first store in Arkansas in 1962 and a little over 50 years later has over 11,000 stores in 27 countries. Howard Stern started out on college radio at Boston University in the early seventies and after traveling from station to station; found a home in New York City, first with NBC Radio, then K-Rock, before ending up at Sirius. For more info on Mr. Stern’s early career, watch the movie “Private Parts”. Sirius does not release listener data, but Mr. Stern’s listeners were estimated at 12 million prior to moving to Sirius and with Sirius growing at 11% a year, it is safe to say he has at least that many listeners. 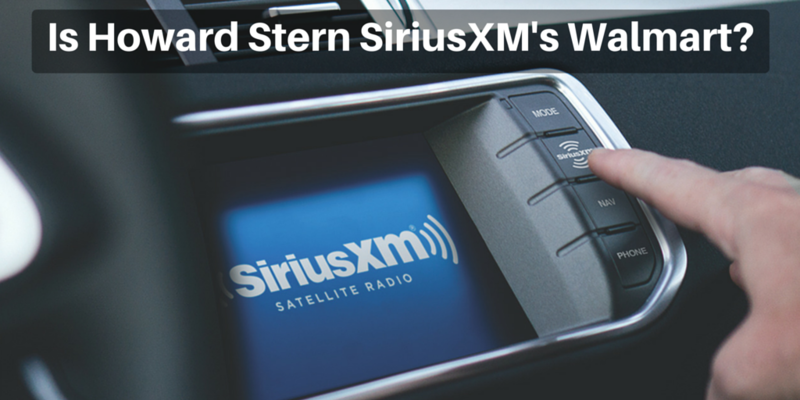 Sirius launched in 2002 and had grown to almost half a million subscribers prior to signing Howard Stern in 2004. Subscribers would grow to over 3 million prior to Mr. Stern’s first day on the air, and by the 2008 merger with XM, subscribers hit 8.3 million. Today, according to the SiriusXM Corporate Overview on their site, they have “more than 28.4 million subscribers”. For those Howard Stern fans out there, we are within 2 months from the end of a five-year contract. At the end of this contract, Mr. Stern will have been with SiriusXM for 10 years. When he signed on the dotted line in 2004, I was already a Sirius subscriber. I was living in New York City and rock radio in the city was on life support, plus buildings affected the radio signal in my apartment. At the time, Internet radio and podcasts were not a great option as they were fledgling industries. Also, I was not a New Jersey Giants or New Jersey Jets fan. So the combination of a reliable signal, NFL games, and a variety of music stations had me sold. Where does revenue concentration fit in? Read the rest of the article on Eagle Strategy Group to see. Copyright © 2010 Eagle Strategy Group LLC All rights reserved.